When businesses start publishing, they’re always concerned with hitting a certain quota. But whether you put out one story a day or two stories a week, that cadence is irrelevant if you’re not driving a tangible ROI with your content marketing. In the world of B2B marketing, quality dominates quantity. Using content for sales enablement—the process of integrating sales and marketing in B2B companies—is all about increasing sales efficiency. Instead of asking salespeople to cold call, content does much of the job for them. After six months leveraging sales-enablement content, Greenrope’s conversion rate doubled from about 20 percent to 40 percent while product cancellations decreased. And that’s not a working theory. Content’s power to drive sales has already proven its value for many B2B organizations. Take GreenRope, for instance. After six months leveraging sales enablement content, the company’s conversion rate doubled from about 20 percent to 40 percent while product cancellations decreased. Successful sales-enablement content comes down to who it’s developed for and how it’s distributed. Audience targeting is critical for all content marketing, but that’s especially true for B2B sales enablement. Not only do marketers need to reach the right business at the right time, but they also need to target the right person within the organization. GreenRope develops segmented drip campaigns to address the concerns and interests of each individual person within a company. These engaged readers, in turn, are more open to talking to salespeople. For Passanante and BESLER Consulting, audience targeting gets even more granular. Since the firm offers consulting to only a handful of hospitals that use a particular inpatient payment systems, its sales team targets a single person—usually the CFO—at each hospital. “We put together a focused program that includes both marketing and sales touchpoints to establish contact with those targets who tend to be firewalled a bit,” he said. In many cases, the people BESLER wants to reach are hidden behind assistants who read and filter their emails and phone calls. However, the company’s research-backed thought leadership has helped the company get the attention of high-level decision-makers in a way that cold calls never could. Although some people misinterpret sales enablement as a one-way street toward sales, the process, when executed successfully, is symbiotic. It’s the partnership between content marketing and sales from beginning to end. Sales helps marketing know who to target, while marketing creates and distributes content that drives those qualified leads back to sales. Many enablement campaigns are set up to alert salespeople when the lead is ripe for contact. But with the right analytics in place—like knowing who clicked on a link, how much info they read, and whether or not they visited the company’s website recently—marketing teams can gauge if their content is effective. At GreenRope, Ceresa sends targeted emails to leads, giving them a chance to sign up for a demo or trial. When the leads request more information, they’re included in a separate drip campaign that supplies valuable content to the reader. “We are really strict about not spamming our users and ensuring they want the content that we provide,” Ceresa said. Most great sales-enablement content starts with planning. Marketers, who may be unaware of customer needs, sit down with the sales team to learn about the pain points and desires of the target audience. As for what to create, content generally ranges from broader thought leadership pieces at the top of the funnel to more specific product- or service-based information toward the bottom, such as why a particular service works well. At Rapt Media, Burak maps out her strategy in advance using a 70-20-10 breakdown. 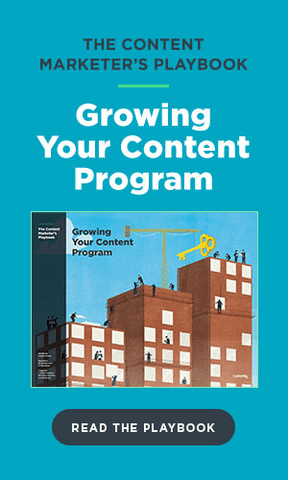 Seventy percent of content relates to practical advice, 10 percent accounts for high-level thought leadership pieces, and 20 percent of the output deals with mid-funnel activities like licensed reports and webinars that go over company products. “Even if you don’t know the specifics about the content you’re going to produce, you can arrange and allocate your resources to support those content bunches,” Burak said. Though this type of content may not lead to skyrocketing traffic, the B2B benefits that come in the form of qualified leads, higher conversion rates, and greater sales efficiency are more valuable than a viral hit. “We’re finding that the leads are coming to us more ready to purchase,” Burak said. And that’s content worth its weight in revenue.